Is Charlotte riding the treadmill of mediocrity? The Charlotte Hornets are obsessed with making the playoffs. They just traded one of their best young prospects for a veteran entering the final year of his contract, and reportedly turned down four first-round picks from the Boston Celtics on draft day, just so they could select a 22-year-old Frank Kaminsky. The Hornets may still have a bright future, but their offseason was shortsighted. 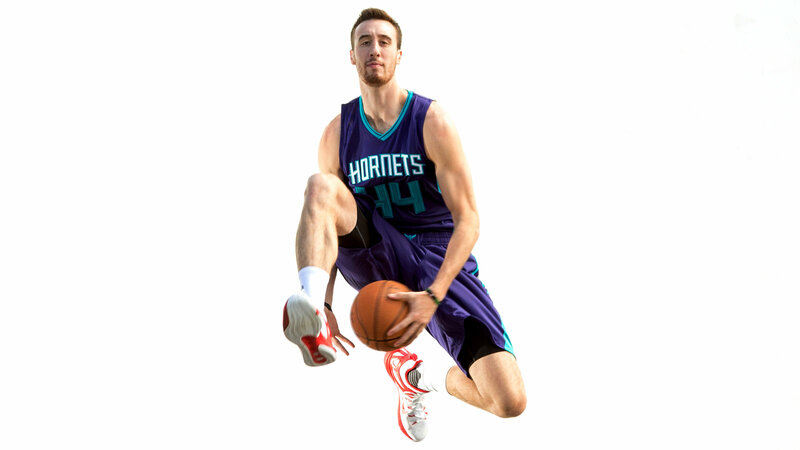 If Kaminsky doesn't become a star and youngsters like Michael Kidd-Gilchrist and Kemba Walker stop improving, Charlotte will forever look back on this summer and shake their head. Charlotte seems like a classic case of a team that had some success and then tricked itself into believing that it was building something instead of peaking. It's a fool's gold team. (See: Lance, signing). That frontcourt doesn't do a lot for me, but I did like the other moves they made, like adding Jeremy Lin and Jeremy Lamb for next to nothing. Nicolas Batum is the interesting one here. He had a dreadful season last year. If he can get back on track, then maybe they have a chance? MORE NEWS: Want stories delivered to you? Sign up for our NBA newsletters.